this post first appeared on zelda & scout on 9/12/14. In many ways, I still consider myself a newbie to New York. I had visited the city several times before moving here, sepia-toned weekends full of Central Park rowboats and rooftop prosecco, Broadway shows and hotel room parties and long afternoons at the Strand. So I had a vague sense of what I thought life in the city would be like. I had seen the apartment where I would be living, knew at least one good place to get brunch and where the best neighborhood tacos were, and most importantly, I felt, I had lived in a big city before. 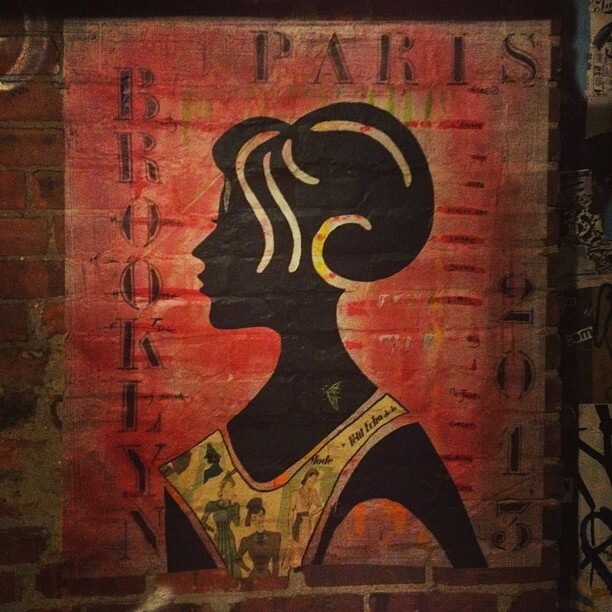 I moved to Brooklyn from Paris, by way of a three-month stint at home in Louisville. It was an essential interlude, the chance to recharge my proverbial batteries (and my bank account) and decompress from life as an expat before life as a New Yorker. When it came time to make the move, I was nervous; while my apartment was lined up, I had no job, or even job prospects, to speak of. I was armed with a stack of resumes and a summer’s worth of barista wages, plus a freelance gig that would cover my subway pass and the odd iced coffee. But my worries rarely extended to the actual living part of living in New York. Unlike my move to France the previous fall, I already had friends in the city, including the bulk of my closest ones. I would be in the same time zone as my family, separated by a few states as opposed to an ocean. There was no currency to change, no bank account or cell phone to set up. Any form I might encounter would be helpfully written in my mother tongue. And I already had a place to live, a vast improvement over my first anxiety-filled, hostel-dwelling week in Paris before I found myself a little chambre de bonne by the Tour Eiffel. My roommate could tell me where the grocery store was, and I had a built-in support system for meals and drinks and advice. As I chipperly told everyone who asked, compared to France, this was a breeze. I would figure the rest out. 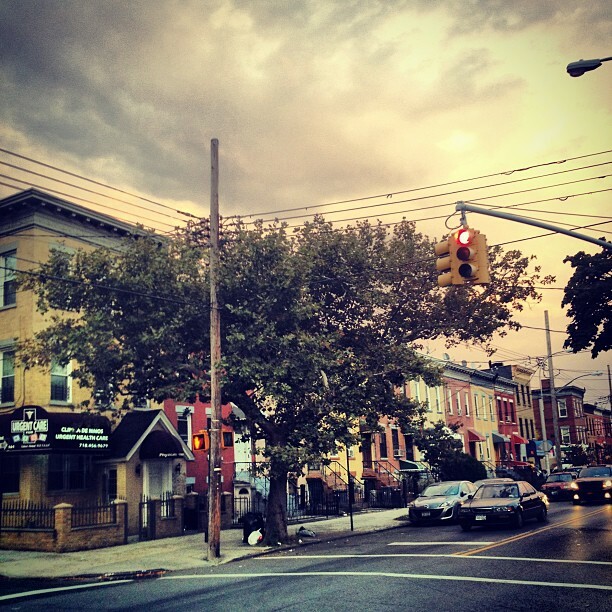 Then I arrived in Brooklyn. Boxes were unpacked, Ikea furniture was assembled, pictures were hung on the walls. As I started to venture out into my new hood, I found myself experiencing a strange form of cognitive dissonance. Yes, I had lived in a big city before. But the only big city I had ever lived in was Paris. Never before had I up and moved on my own to a metropolis within the United States, aside from going to college (and Providence, Rhode Island barely qualified as urban). In my mind, big new city and abroad were inextricably linked; a non-academic location change meant a trans-continental one. And so I found myself oddly alienated by this city with public transportation and top-notch museums and urban parks where everyone spoke English and used the dollar. Sitting on the subway and overhearing a couple next to me speaking English, I felt a little thrill. “Hey, they’re Americans, too! I can understand them!” I was shocked by passers-by and waiters and subway conductors speaking my native tongue, biting back the impulse to announce my entry into every store with a bonjour, and constantly correcting myself when I referred to the subway as the métro. I searched in vain for the cheese aisle in my local supermarket, wondered what the hell these bodegas were that people kept talking about. The biggest shocker was the subway itself, with its express and local lines, where people talked, ate, drank coffee out of to-go cups, and, most surprising of all, used their phones. My first day in New York, Scout and I went to see a show, and as we rode the subway in from Bushwick I asked her, concerned, “Is it, like, ok to have your phone out? Aren’t you worried people will try to steal it?” I was accustomed to the iPhone swipers of Paris, carefully keeping my headphones wrapped around my wrist and stashing my phone in a securely zipped pocket every time we approached a stop. She looked at me like I was speaking a foreign language. It’s been one year, one week, and three days since I moved to this big crazy city. I’ve finally learned to call the subway what it is, and I use my phone on it without impunity. I eventually found not one, but two jobs, plus an internship. My brunch repertoire has expanded to include over a dozen options, but I still swear by the same taco place. And I miss Paris, every day, but the sharp pain of separation has mostly settled into a dull nostalgic ache, twinging to my attention whenever the Amélie soundtrack pops up on shuffle. As for New York, we’ve got a bit of a tempestuous love-hate thing going on, not aided by the subway smells or the polar vortex. 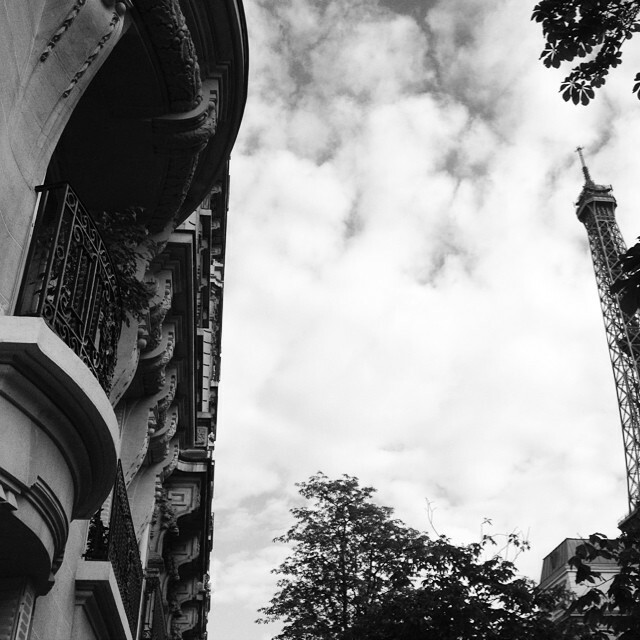 My heart belongs to the Eiffel Tower, to magret du canard and Haussmanian boulevards and the cobblestone banks of the Seine. But I haven’t given up on this new, bustling, dollar-using, English-speaking, overwhelming, exhilarating city. Not just yet.